(HealthDay)—Claims that fish oil supplements help prevent death from heart disease, heart attacks and stroke may be unfounded, British research suggests. Millions of people take fish oil supplements, hoping to benefit from the omega-3 fatty acids they contain. And the American Heart Association recommends omega-3 fatty acids supplements for people with a history of heart disease. But a University of Oxford researcher and colleagues who reviewed 10 prior studies found only a small effect for those who already had heart disease or had a heart attack. Fish oil supplements reduced the risk of death by 7 percent in these patients and the risk of nonfatal heart attack by 3 percent—not enough to be considered significant, according to the study. "The results of this analysis of large studies provide no support for current recommendations to use fish oil supplements to prevent heart attacks and strokes," said lead researcher Dr. Robert Clarke. He's a professor of epidemiology and population medicine at Oxford. "Based on this study and many others, patients should stop wasting their money on omega-3 fatty acids supplements," said Dr. Byron Lee, of the University of California, San Francisco. Most of the reliable research has shown no benefit, said Lee, a professor of medicine and director of electrophysiology laboratories and clinics. "I would much rather have my patients save their money to buy an exercise bike or treadmill," added Lee, who wasn't involved in the study. The trials reviewed involved nearly 78,000 patients in all. They were given omega-3 fatty acids supplements or a placebo. The researchers found no significant benefit of supplements in preventing death from heart disease, heart attacks, stroke, or death from any cause. In all, nearly 2,700 died from heart disease, more than 2,200 suffered nonfatal heart attacks, and 12,000 had strokes or other major circulatory problems, the researchers found. A spokesman for the supplements industry found some positive news in the report. Duffy MacKay is senior vice president of scientific and regulatory affairs at the Council for Responsible Nutrition. "The new meta-analysis hinted at potential, though not statistically significant, benefits in a number of heart disease outcomes suggesting omega-3 fatty acids may help in promoting heart health among patients with a history of coronary heart disease," MacKay said in a statement. "Even though these results are not statistically significant, they come close, thereby validating nutritional interventions, such as omega-3 fatty acids, as having subtle, but important, effects," he added. Dr. David Siscovick is senior vice president for research at the New York Academy of Medicine in New York City. He was also the first author on the American Heart Association's recommendation on omega-3 fatty acids supplements. Siscovick agreed that the supplements have no benefit in preventing death from heart disease, heart attack or stroke in people without a history of heart disease. Among those who have a history of heart disease or heart attack, however, he said the heart association found that fish oil supplements are associated with a 10 percent reduction in death. Siscovick said that figure isn't far off from the 7 percent reduction in deaths that Clarke's study found. Siscovick said it's worth discussing fish oil supplements with your doctor. Although the benefit may be small, it's worth considering, "given the low risk of using these supplements," he said. The report was published online Jan. 31 in the journal JAMA Cardiology. 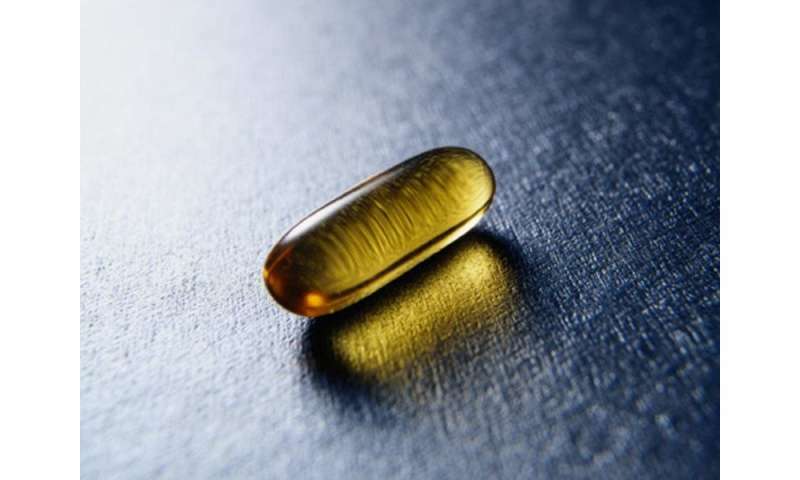 For more on fish oil supplements, visit the American Heart Association.